iOS 7 is out there from a long time, and Apple has served numerous updates to make it more identical for iPhone, iPad and iPod Touch users. 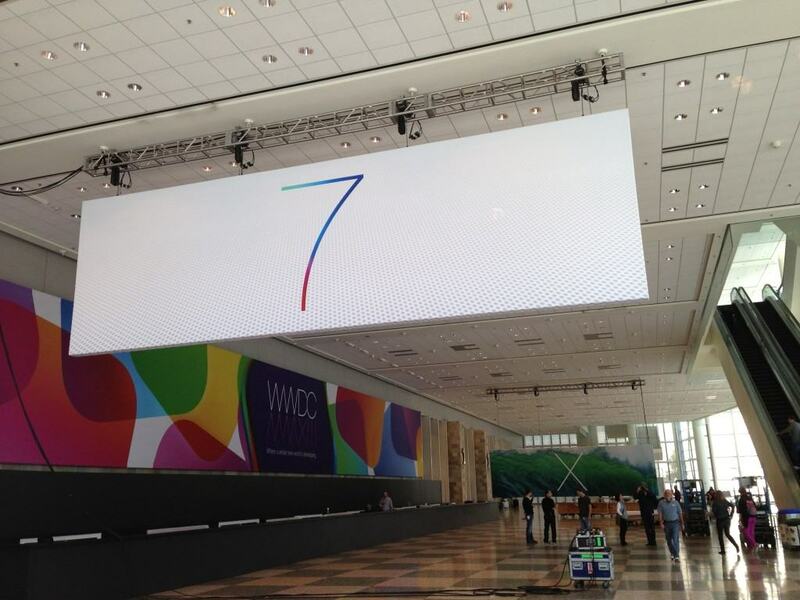 In the start, we heard several things about iOS 7 and its upcoming features. We have seen iOS 7 coming out similar to our expectations, but missing few hits. Apple has already released an iOS 7.0.5 update to the general public. Alongside the iOS 7.0.5, Apple gears up the development of next major iOS 7 firmware update in shape of iOS 7.1. Apple seeded iOS 7.1 beat 4 to developers last weekend to make the next update more compatible and stable for iPhone and iPad users. With time is getting passed out, and we are going to start our series about iOS 8 rumors, I thought that it is the perfect time to throw a round up series of iOS 7 rumors. In short it is a clear history of iOS 7, and how iOS 7 rumors guided us over the time last year. Apple is very tough on leaks, and almost stopped everything from coming out in the market before time but still there are many stories that we learned last year, and now we will hear about upcoming iOS 8 this year. I am starting with an article where we discussed the five exclusive features / changes coming in iOS 7. Apple was believed to announce iOS 7 at WWDC 2013, and everyone was looking to learn more and more about iOS 7 before the time. You can read all the iOS 7 rumored features there. It clearly shows that how our predictions goes correct in guessing the upcoming iOS 7. We have correctly guessed few and misses too in making our point. However, there are several things in Apple’s pipeline to come out this year, and we hope we will do great things in revealing them. At the time of iOS 7 development, we heard many rumors about the spin at Apple’s board and everything gives output of flatter iOS 7 user-interface. Sources reported over time that Jony Ive is taking over iOS development, and Apple is bringing major changes to upcoming iOS 7 firmware version. In the earlier version of iOS, we have seen Forstall worked very hard to make iOS devices unique and valuable than any other devices out there. It always was not the hardware that attracted people over time, it was the iOS but at the end of story iOS user-interface required some major changes. It is one of the most serious iOS 7 rumors in our series. It was one of the confusing rumors about iOS 7 release. Jony Ive finally spilled his beans at people with making a public statement about the upcoming changes at iOS 7 user-interface. Many people thought that iOS 7 rumors are just hoaxes, but time has cleared out everything. After public statement of Jony Ive, we finally able to get our hands on the iOS 7 alpha leak firmware version, which shows the upcoming changes of iOS 7, but it was not similar to something that was showed at WWDC 2013 event to developers by Apple. Since the start of the year, everyone tried learn about the schedules of WWDC 2013 event, and many tried to hook up with sources but Apple did everything very silently and sends out media event invitations to press hubs to attend WWDC 2013 for iOS 7 and OS X 10.9 announcement. Apple announced iOS 7 finally for developers and right after seeded the iOS 7 beta 1 for developers. Apple previewed iOS 7 with major user interface changes that were liked by few and disliked by many. However, iOS 7 lately proves itself with stats showing people are installing it on their devices without any issues. In a very detailed post, we covered all the facts behind iOS 7 UI, and design flaws that offended users. Apple made major changes in the appearance of iOS 7, and left many people thinking about the future look of their devices. iOS 7 Beta 4 Download Is Available! We have mentioned a long series of iOS 7 rumors here, but we are keeping our active eye on further development of this topic. We will keep updating this thread with more and more iOS 7 rumors.